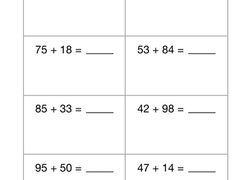 If your second grader is tired of typical maths worksheets, this double-digit addition plus coloring printable is perfect! 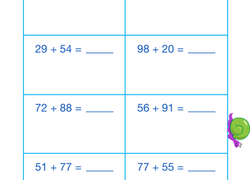 Looks like Santa has been here! 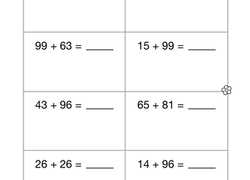 These Christmas gifts each have an addition or subtraction problem for your second grader to solve. 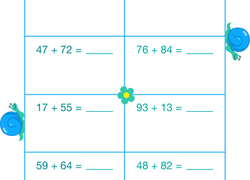 With a little addition and concentration, your second grader can help Esmerelda keep track of how much her cherry blossom tree grows each week! 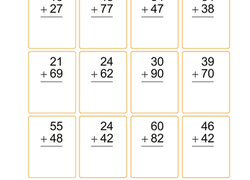 Your second graders will enjoy their double-digit addition practise when they work with these friendly monster companions! 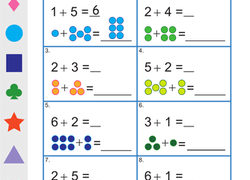 This colorful worksheet will test your first grader's mental maths skills while also allowing her to check each problem visually. 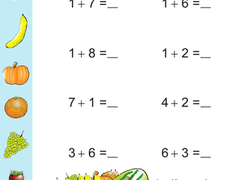 Your second grader will enjoy practising two-digit addition when he has the lovable bugs on this worksheet to keep him company! 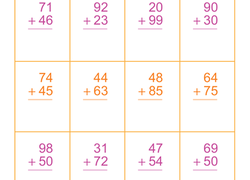 Your child will get a head start on maths with this fun, fruit-filled addition worksheet. 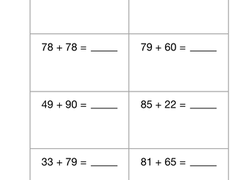 Practise is the best medicine for a second grader struggling with two-digit addition. 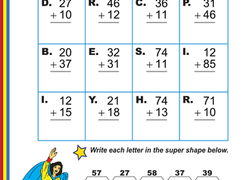 This fun worksheet's sure to help him out! 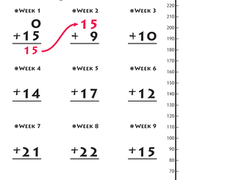 For a much-needed maths practise change, give your second grader this charming double-digit addition worksheet that includes a coloring activity bonus! 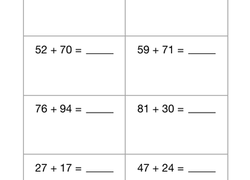 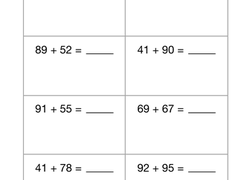 Encourage your second grader to work carefully--like the slow and steady snails adorning this worksheet--to finish these double-digit addition problems. 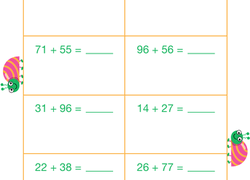 Practise some merry maths with these Christmas-themed word problems. 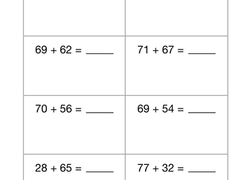 Kids will use maths skills to find the correct number of wreaths, carolers, and chocolates. 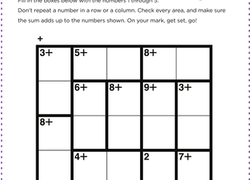 This addition puzzle is ready and waiting for your child to solve it!